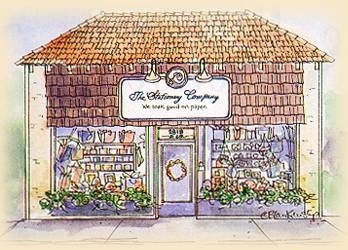 Happy anniversary to The Stationery Company in Denver, Colorado! Lin and Steve Logan took ownership of The Stationery Company in 1982 and moved the company to its current location in Cherry Creek. The Logans have become well-known taste-makers in their community and pride themselves on the wide range of fine art prod ucts available in their store. From wedding invitations to Timeworks clocks, a trip to The Stationery Company is a truly unique experience that won’t be forgotten.